Most of our daily lives are dominated by a busy outer world, much of which we can’t control. This causes us to miss what’s going on inside of us. We become disconnected with who we are and what makes us truly happy and fulfilled. Many people try to find prosperity in the outer world by striving for more and more things or experiences which only drains them even more. Change begins from within. If you’re unhappy with some aspect of your life, you’ve probably been searching for the solution in the wrong places. Chances are, the answer has been within you all along, but you’ve never been taught how to get to it. When was the last time you thought about your thinking? Meditation is a simple mental technique from Hindu tradition. Here’s what you do. Get into a comfortable seated position. Then close your eyes and repeatedly think of a word, sound or phrase, your mantra. Many practitioners recommend that you do this twice a day for 15-30 minutes or more. During this time you allow all thoughts and distractions to pass through your mind like clouds passing by in the sky. Let them flow without passing judgment or allowing them to destabilize your emotions or sense of balance. As you do this, you’re fully aware of your body and surroundings in the present moment, yet you let everything pass through you. Meditation promotes deep relaxation resulting in greater inner awareness. Some people say it helps them to feel centered. David Lynch is film director, musician and actor who has been practicing meditation since 1973. He says that it’s like being in an elevator that takes him up. “It has given me tremendous effortless access to unlimited reserves energy, creativity and happiness deep within.” says Lynch. Not only does he get tremendous personal benefit from meditation, he saw how much it could help anyone regardless of their age or life circumstances. In 2005 he started the David Lynch Foundation for consciousness-based education and world peace. Today the foundation teaches meditation to children and adults in countries all over the world with sometimes astounding results. Deep breathing can help to enhance your experience. When you become consciously aware of your breathing, it has an immediate calming affect. Some people incorporate yoga with meditation. When you begin by doing yoga to stretch out your body, it may help you to reach a more intense state of relaxation. Some people like to sit in a lotus position after stretching, while others prefer to lie down. It’s completely up to you. It’s best to do yoga on an empty stomach, so the combination of yoga and meditation can be a great way to begin and end your day. Meditation has a way of removing filters, blocks, fears, doubts, torments and pains from within. Some say it helps to ward off their depression, anxiety, stress and more. Observe animals and toddlers. They live in the moment without passing judgment. Their bodies and minds are free. 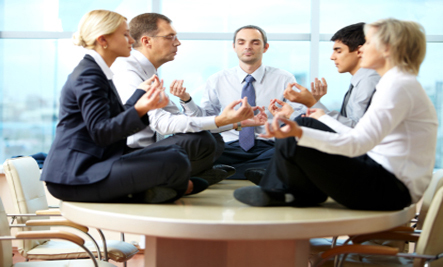 Meditation helps you free your body and mind as you move into a higher sensitivity to your surroundings. It recharges your mind and body in a powerful way that you can only discover over time. 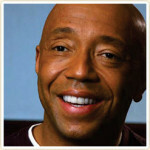 Russell Simmons says that meditation promotes happiness. “It teaches you to appreciate now. It brings you close to your power. Meditation is for any one of us who want the cycle of good to happen, want to be optimistic, want to be an inspiration, want to make everybody else’s lives better so they can be better. Meditation promotes stillness. When you’re still is the only time you can think.” YouTube 4-minute clip. Meditation “transformed me and many of my friends,” said Apple CEO, Steve Jobs. “It was profound.” In his younger years, he created a meditation space in his attic complete with Indian prints, candles and meditation cushions. He read books like Zen Mind, Beginner’s Mind by Shunryu Suzuki, Cutting Through Spiritual Materialism by Chogyam Trungpa and Autobiography of a Yogi by Paramahansa Yogananda (a book he read once a year ever since he was a teenager). Meditation helps you to become more attached to the present moment, while become detached from worldly things and thoughts. Some find meditation so effective, even more powerful than the effect of drugs. It’s easy to get hooked on meditation because of its profound benefits. In the beginning, you might want to keep a journal to note your experience. You can begin practicing meditation on your own now. If you’re looking for a layman’s guide to getting started, check out Meditation for Beginners 22-Day Course by Vern Lovic. He provides simple steps to calm the circus in your mind. I like this book because it’s a casual description of one man’s journey. Yours may be very different. As is true with any good habit, you get the most benefit with regular practice over time. You can’t expect meditation in itself to solve your problems right away. But it may become one of your most valuable habits in maintaining a more satisfying and balanced life. Once you experience the benefits of meditation, you may want to get some training. Look for practitioners or a Meetup in your area. Some centers charge for their services, while others are nonprofit faith-based organizations. Are you ready to become an Urban Monk? One day a student at the went to meditate with two monks as part of his education. They went to the opposite side of the lake from a monastery and were about to start their morning meditation when the first monk said, “oh no, I forgot my mat.” So he walked calmly across the surface of the water to the monastery and returned with his mat. Then the second monk said, “I forgot my sun hat,” so he ran across the surface of the water to the monastery and returned with his hat. 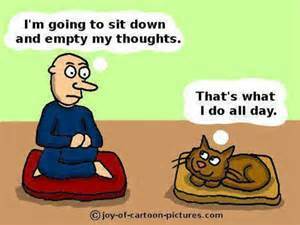 Please get back to me later to let me know what meditation is doing for you. Telling someone about meditation is one of the greatest gifts you can give.